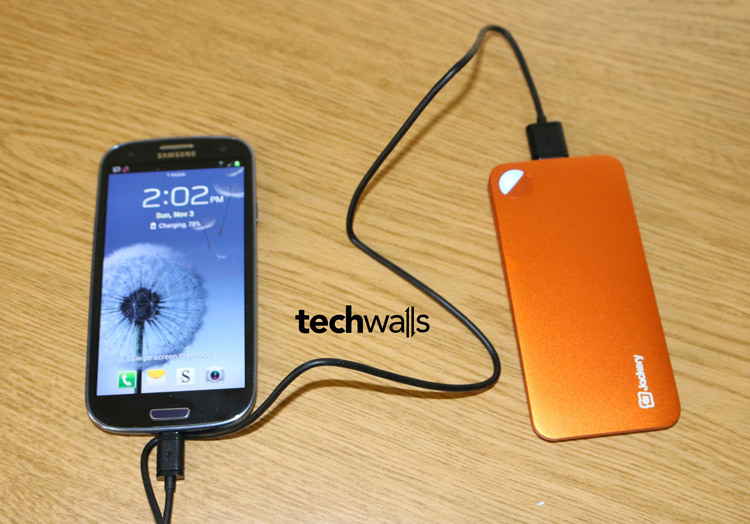 A mobile charger or backup battery is a must-have accessory for most smartphone users nowadays. We use smartphones to browse web, listen to music, play games or watch videos and just a few of those phones could last through a day. Backup battery is a great solution then because a wall outlet is not always available and we need to charge our phone on-the-go. It is even more helpful when you prepare for a hurricane. We’ve got the chance to review a very popular choice, the Jackery Air. Let’s check out my review. I’m really impressed with the portable design of the Jackery Air. It features an aluminum body and it is just the side of a 4-inch smartphone, very lightweight, thin and beautiful. Watch my unboxing and overview video of the product below. There is just the power button and battery level indicator on the front. On top we can see there are 2 ports, one micro-USB and one normal USB port. An USB cable is included but unfortunately the charger is not provided. You can use any USB charger with input of 5V/1A to charge the battery. I really like the battery level indicator because I would know how much battery is left. The red blinking shows there is just 0% – 10%, the constant red light shows the level of 10% to 40%, the blue light shows 40% to 75% and the green light indicates 75% to 100%. Another notable feature of the battery is its advanced power lock technology. The Jackery Air must have been in stock for a while, but when I turned it on, the indicator still showed that it has from 75% to 100%. The battery was not draining out like many other products out there. I tested on my Samsung Galaxy S3 with a 2,100mAh battery and an iPhone 5S with a 1,570 mAh battery. The Jackery Air fully charged my Galaxy S3 once and then it reached 40% until the portable battery drained out. It is slightly better on iPhone 5S because the battery has smaller capacity. The Jackery battery was enough to charge my iPhone to 100% in the first charge and then reached 80% before the battery indicator turned red and stopped charging. 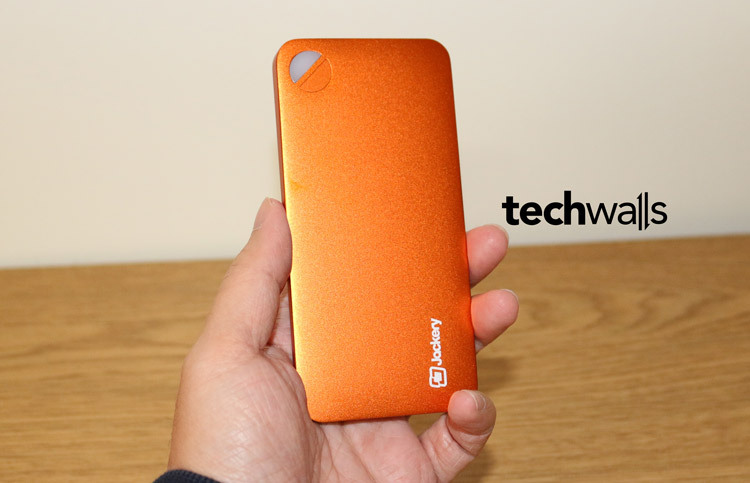 The Jackery Air is claimed to have a 5,000mAh battery but I just can use less than 3,000 mAh in real usage. Probably my phones’ batteries were still draining out when charging. I guess the phone could receive more power if I turned it off, but nobody would do that. The charging speed is quite good. I easily could charge my iPhone 5S from 2% to 100% in around 2 hours. However, the charging speed for the backup battery is not that good, it often takes more than 6 hours to be charged fully. 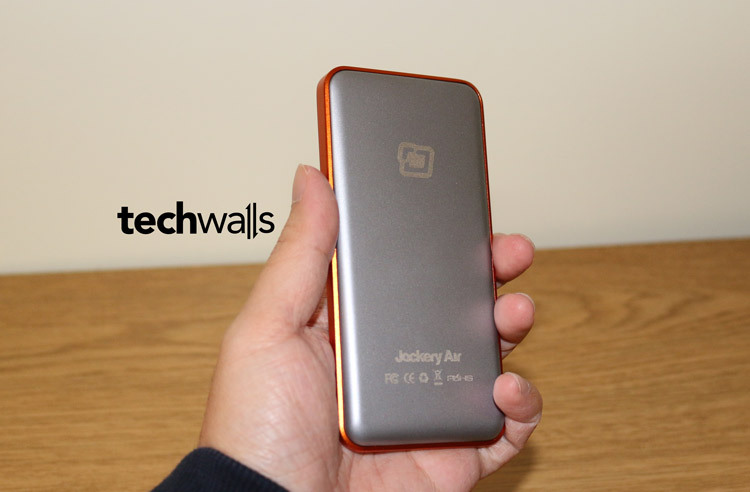 It is also more inconvenient if you want to use the Jackery Air for your iPhone because the lightning jack is not provided and there is also no lightning port on the mobile charger. Therefore, you will still need to use a micro-USB cable to charge the external battery and then use lightning cable to charge your iPhone. Very portable and beautiful design. Standby time of the battery is very long. Battery capacity is not as large as advertised. Charger and lightning cable are not included. Charging to the backup battery is slow.